The castle was about a mile and a half away, at the end of a steady uphill climb. It wasn’t the kind of torturous thigh burner you see in the Pyrenees during the Tour de France, but from my bicycle seat, the haul to the hilltop castle near Breisach, Germany, looked daunting enough. As I pedaled, I felt the hill demanding more from leg muscles that had spent much of the last week aboard an elegant cruise ship up the Rhine River, which had been doing all the work. I needed a power boost, so I switched my bike’s pedal-assist mode to maximum. Suddenly, it was like the wind was at my back. Instead of working up a sweat, I was working up a smile thinking about the cheese and crackers with schnapps that waited at the end of the tour. Riding a bicycle may not be something you associate with a cruise, but on the Rhine Getaway with Viking Cruises that took me from Amsterdam, Netherlands, to Basel, Switzerland, two bike excursions were special highlights of a journey that had many others. This was my first time on a river cruise and I was struck by how different it was from an ocean cruise. 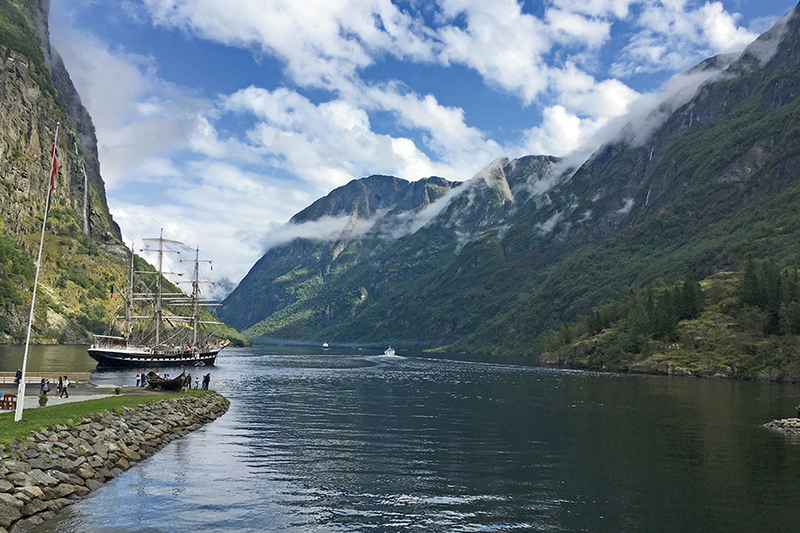 Instead of thousands of passengers, there were fewer than 200, many of them seasoned travelers so engaged with the river’s flow through changing landscapes, across centuries of history, and alongside storied cities and towns, organized onboard activities were unnecessary. In parts of Europe, bicycles have been a practical and economical way to get around for more than 100 years, contributing to a bicycle culture that can be intimidating to someone coming from a land where the car is king. We started our journey in Amsterdam, where more than 60 percent of the trips in the heart of the city are made by bicycle. Amsterdam is considered the most bike-friendly, large city in the world, but it’s no place for a meek novice among thousands of bold bicycle commuters darting their way through daily life. Fortunately, Viking Cruises offered an optional excursion that was more my speed. There may be no place that epitomizes the Netherlands as much as Kinderdijk. Nineteen windmills cast their reflections upon waters they’ve held back since the mid-1700s. The ingenious system of dikes, pumps and windmills keeps the land dry, despite being below sea level. Four of us hopped on bicycles and joined a local guide who led us through this UNESCO World Heritage Site at a leisurely pace across land so flat that getting around was as easy as, well, riding a bike. 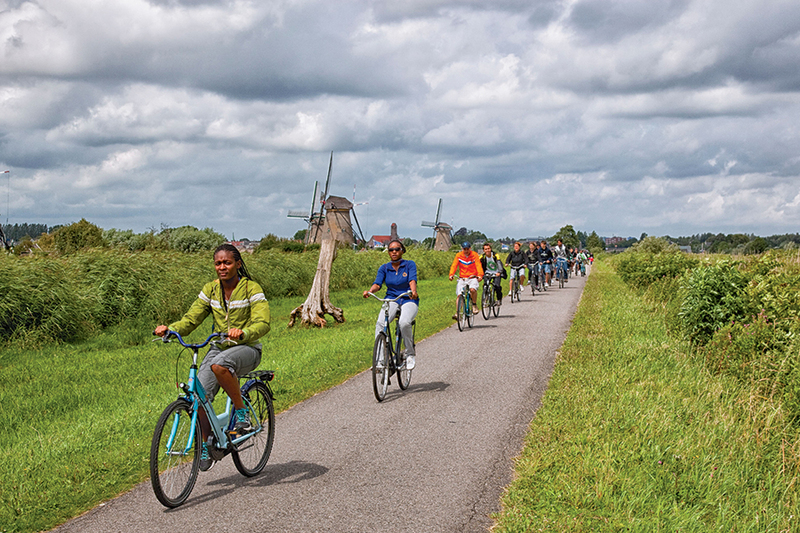 With our bikes, we were able to go further than the standard walking tours, visiting all 19 windmills and even stopping at a cheese factory. The fact that there were only five of us instead of the typical larger group on a walking tour made it a more intimate experience, as if we were a few friends out for a ride and decided to drop by and say “Goedemorgen” (Good morning). 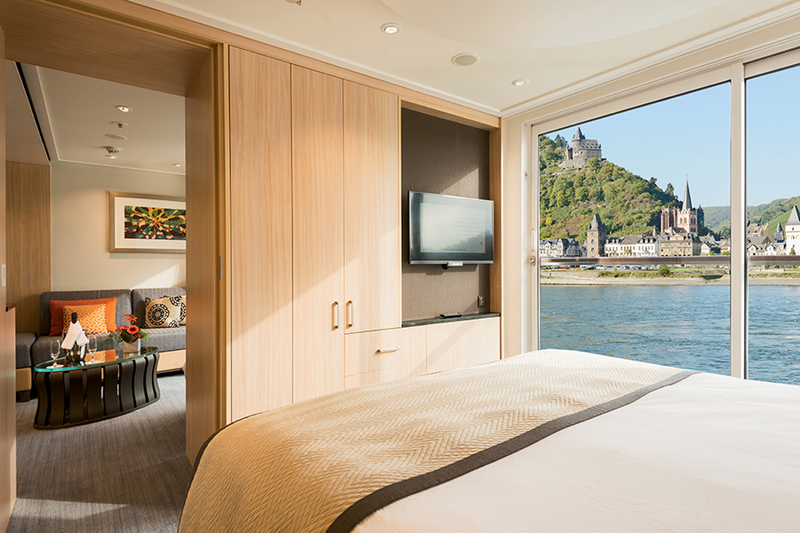 Back aboard our Viking Longship, the treasures of the Rhine revealed themselves: Cologne, with its atmospheric Old Town and Germany’s largest cathedral, medieval Koblenz, the 11th-century Marksburg Castle, all ready to be explored on shore excursions led by expert guides. 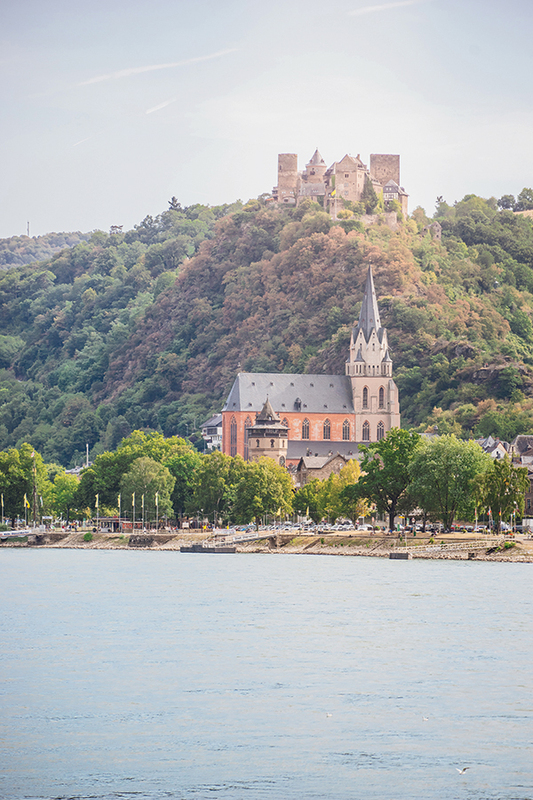 Cruising this stretch of the Rhine, between Koblenz and Rudesheim, is like floating through the pages of a childhood bedtime story, surrounded by a profusion of hilltop castles that for many centuries have stood watch over uncounted river journeys. After a stimulating side trip to Heidelberg, Germany, and another fascinating stop in Strasbourg, France, we docked in Breisach, the gateway to Germany’s famed Black Forest. I was ready for another bike ride, and this one would allow me to travel deep into the countryside. In Kinderdijk, I’d probably ridden a total of 3 ½ miles along the Dutch flatlands. Today, the plan was to ride more than 20 miles along mostly gravel trails that led to rolling hills. I wanted a little bit of a workout but wasn’t interested in a pedal pumping ordeal of perspiration. No problem. We were on e-bikes. They look like regular bicycles, but in the middle of the frame there’s a small, battery-powered motor with five different pedal-assist modes, depending on how much of an assist you want or need. You still have to pedal even when you engage the motor, but it takes the hard work out of going uphill or against the wind. Anybody can do it, and it’s a great way to explore areas you’d otherwise need to take a bus to visit or skip altogether if you’re on foot. Two guides from the area led us down wooded paths into a vineyard, and then to a pumpkin farm where we stopped for Black Forest cake. One of the members of my group didn’t use her bike’s motor at all during the first half of the ride, but she was working up a sweat because the small motor makes it heavier than a standard bicycle. I had my bike set to minimum pedal-assist for most of our ride, until we approached the tall hill with a castle at the top. When I switched to maximum pedal-assist, it was no sweat, literally, all the way to the castle. 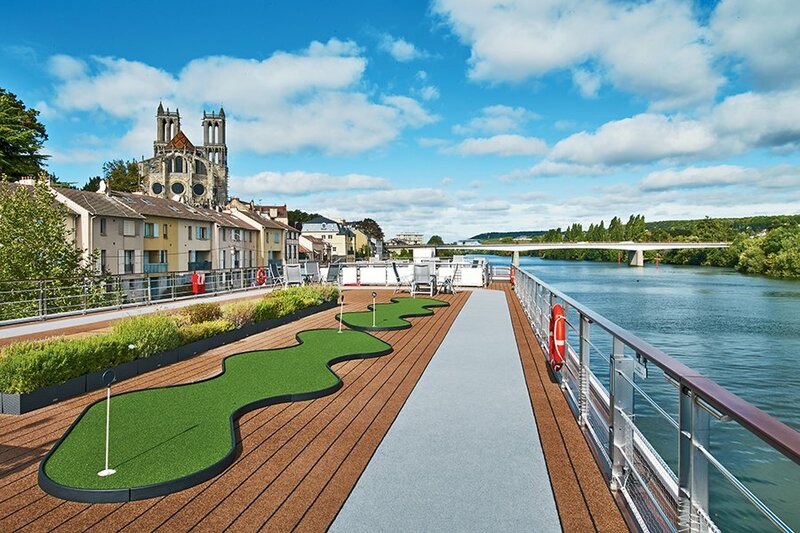 My Rhine Getaway with Viking Cruises was my introduction to river cruising after I’d been on a number of ocean cruises. Both have their attractions, but the stately flow of the river made a real impression on me. The sense of steady but unhurried progress spread from ship to shore with this cruise, offering so much time to explore on my own and soak in everything around me. The bicycle excursions seemed to flow naturally from that feeling that I wasn’t being rushed. On a relaxing ride through beautiful countryside, you almost have to work at being in a hurry. On a cruise, I don’t want to work that hard. 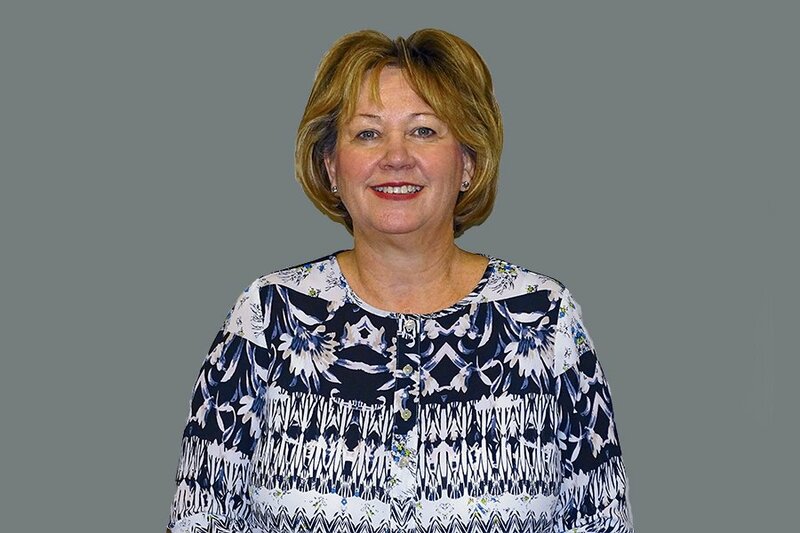 Janice Schultz is a Travel Agent in the AAA West Metro retail store. 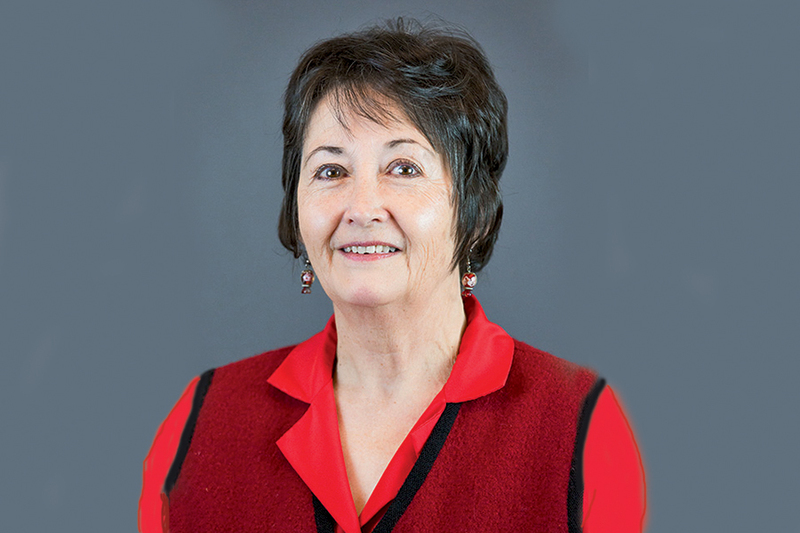 She holds several Destination Specialist designations and loves to write about and photograph her travels when she’s not helping others plan their dream vacations. Contact Janice at 3850 Wadsworth Blvd., Wheat Ridge; 720-593-5241; or jschultze@colorado.aaa.com.